After their sold out summer college intensive with us David and Laura are back for another college workshop weekend! Broadway Workshop is so excited to bring you the people who wrote the book on college auditions this winter! Join us for this special two day workshop where we will work through your audition pieces, give you feedback, make suggestions and get you as prepared as possible to master your college auditions! ContemporaryMusicalTheatre.com and Broadway Workshop are joining forces again to bring their unique take on preparing for college musical theatre auditions. Over the course of two days, the authors of “Mastering College Musical Theatre Auditions” – teaching artists David Sisco (voice teacher and musical director) and Laura Josepher (director and audition coach), along with Broadway Workshop Director – Marc Tumminelli will lead students through the audition process, from cutting and preparing audition material to covering else they need to know (i.e. – talking to the pianist, slating, and interview questions). Each student will receive individual coaching in a masterclass setting in both acting and singing, feedback on two mock auditions, and share a session with their parents on how to all be on the same page during the busy audition season. This workshop will uncover many of the small details, often overlooked, that make for a successful audition. Each student will receive their own copy for David and Laura’s book “Mastering College Musical Theatre Auditions: Sound Advice for the Student, Teacher, and Parent” in advance of this workshop. This workshop is only opened to 16 total students. In order for our teaching artist to be ready to give you the best feedback possible, we are asking each registered student to create a simple Pre-screen video package. Students will need to provide Broadway Workshop with links to video pre-screens for this workshop. The pre-screens must include one 2-minute age-appropriate contemporary monologue and two songs (16-bar ballad and one 32-bar up-tempo) of different styles that showcase the student’s vocal ability. This prescreen will solely be used by the teachers to access the student and tailor the workshop experience to their particular strengths and needs. Registered students will receive a link with more workshop info and a form to upload their video pre-screen. ContemporaryMusicalTheatre.com is run by David Sisco (Founder & President) and Laura Josepher (VP of Business Development). David is a voice teacher, musical director, and active composer, who teachers masterclasses and workshops on performing contemporary musical theatre and art song around the country and internationally. Laura is an active director, dramaturg, and audition coach whose credits include Off-Broadway and regional plays and musicals, including several new works. Together, they wrote “Mastering College Musical Theatre Auditions: Sound Advice for the Student, Teacher, and Parent,” now available on Amazon. David Sisco has served on the voice faculties of Northeastern University, Suffolk University, and Marymount Manhattan College. He currently maintains a private studio in New York and leads masterclasses around the country and internationally on preparing contemporary art song and musical theatre. He has presented papers at the 2010 NMTA (National Music Teachers Association) Conference, 2012 & 2016 NATS Conferences, and the 2013 & 2017 ICVT (International Congress of Voice Teachers) Conferences. In 2016, David lead a 2-day workshop for the New South Wales Chapter of ANATS in Sydney. David is a member of the Dramatist’s Guild and BMI Lehman Engel Musical Theater Workshop (Advanced) and is an alumnus of the New Dramatists Composer-Librettist Studio in New York. He is the author of Here I Am: A Musical Personal Ad, Variations on a Theme of You, and BAIT n’ SWISH. David is currently collaborating with Tom Gualtieri on two musicals: Falling to Earth, and an adaptation of Henry James’ The Wings of the Dovebook writer Michael Zam (co-creator, “Feud”). A winner of the 2010 NATS (National Association of Teachers of Singing) Composition Award, David is a prolific art song composer. His songs have been heard at concerts produced by Friends & Enemies of New Music, New Music New York, Joy in Singing, Lyricfest, Songfest, Songfusion, and at Carnegie Hall. Sisco has been commissioned by Manhattan Girls Chorus, Cayuga Vocal Ensemble, and twice by Minnesota State University Moorhead. He has musical directed Hair, La Cage aux Folles,Small Town Stories,(Wagner College), Our Country’s Good, Spring Awakening (original score, Marymount Manhattan College) and Searching for Romeo(NYMF). 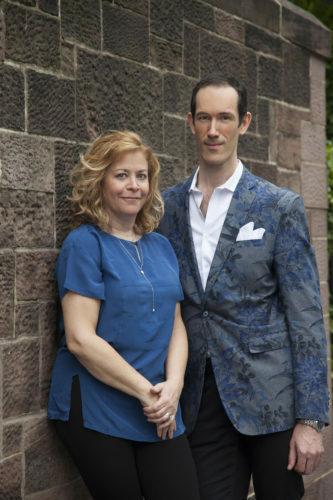 With Alexandra Foucard, David formed “Comes Love Duo,” a cabaret act with an eclectic repertoire, from American Songbook standards to contemporary Country songs. The pair enjoys their artistic home in Provincetown, MA and have also performed to multiple sold-out audiences at The Triad in New York. With business partner Laura Josepher, David runs contemporarymusicaltheatre.com, the largest online database of contemporary musical theatre writers and songs. 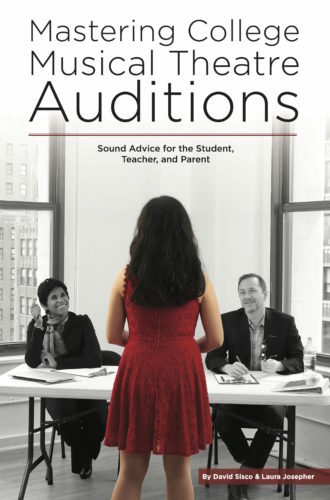 David and Laura recently released their book, “Mastering College Musical Theatre Auditions: Sound Advice for the Student, Teacher, and Parent,” which is available on Amazon. David earned a BA in Vocal Performance with Composition Honors from Syracuse University and a MM in Vocal Performance from Boston University. Laura Josepher is a director, teacher, dramaturg, and audition coach. Recent credits include The 25thAnnual Putnam County Spelling Bee for American Musical Theatre Academy (AMTA), Searching for Romeo at New York Musical Festival, Tom Gualtieri and David Sisco’s Falling to Earth at Syracuse University, and David Sisco’s Bait ‘n Swish (NYC & Atlantis Cruises). For Stages Repertory Theatre in Houston she directed Dirty Blonde, The Turn of The Screw, and I Love You, You’re Perfect, Now Change. For Provincetown Rep: Eugene O’Neill’s Hughie. For Rattlestick Playwrights Theater: Winning and the award-winning Car Pool. With partner, David Sisco, she runs ContemporaryMusicalTheatre.com, a resource that helps teachers, students and professionals find well-written, largely unpublished contemporary musical theatre songs. For the company she directed Vowat Marymount Manhattan College, as well as three concerts: Binders Full of Womens Songs at 54 Below, A Celebration of Contemporary Musical Theatre at Second Stage Theater, and most recently a concert to celebrate the company’s fifth anniversary at The Green Room 42. Together Laura & David wrote the book, Mastering College Musical Theatre Auditions: Sound Advice for the Student, Teacher, and Parent available on Amazon. Laura has an MA in Educational Theatre, and a BM, both from NYU. She is a member of SDC.